I love trying out new electronics and accessories – whether it’s a new upgrade for my phone, a new case for my iPad, or something that enhances my laptop or even TV viewing experience. With so many companies out there and so many choices when it comes to electronic accessories, it can be hard to know where to get a good quality product at a good price. I’m happy to introduce you to a company that gives you both – IPEVO. 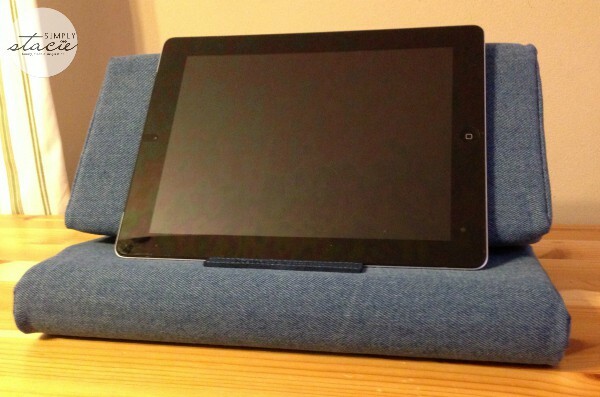 I received two PadPillow iPad stands for review from IPEVO, one in Blue Denim, one in Charcoal Grey. 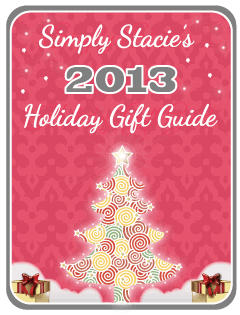 Both sell for $24.99 and would make a fantastic gift for the iPad lover in your life. I’ve never seen a stand like this for an iPad and I have to say, I am very impressed with the quality of this product. 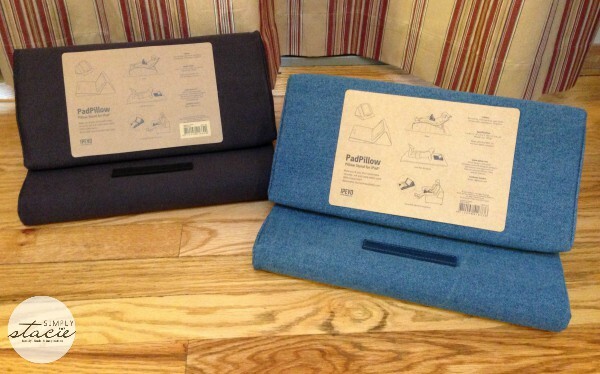 The pillows are sturdy and stylish, and really versatile. They are great for standing up your iPad to watch TV or videos in one position, and it also opens up to accommodate wireless keyboards so you can get some work done while sitting on your couch or even a lounge chair next to the pool! 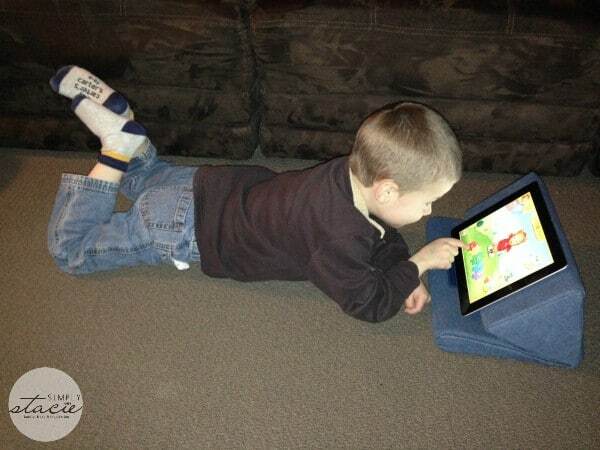 My oldest son loves to lounge with our iPad to play his games and this pillow really gave the iPad great support (especially considering that my son sometimes taps the screen a little too hard!). There’s a raised leather label on the pillow that acts as a stopper for your iPad, keeping it at a perfect viewing angle. One of the highlights for me with this product is that the 100% cotton cover is removable and machine washable – always a plus with kids in the house! Beyond just the iPad, this pillow works great for any tablet device and even books and magazines. The IPEVO PadPillow is available in six great colors and is available for purchase on the IPEVO site as well as on Amazon. IPEVO is a U.S. based company that designs and sells innovative products to enrich today’s connected lifestyle. They offer accessories ranging from USB chargers to document cameras to wireless presentation systems. Their goal as a company is to make technology affordable to educators and their products are currently used in over 42,000 K-12 schools in America! To learn more about what IPEVO has to offer, check out their website. I like the bluetooth speakers! I want the High-Definition Wireless Presentation System. I love the Bluetooth speakers. IPEVO Scan Kit for P2V, Ziggi and VZ-1 USB Document Cameras are pretty cool. I like the Perch Desktop Security Stand for the iPad. I like the IPEVO IS-01 Interactive Whiteboard System! Thanks for the giveaway! 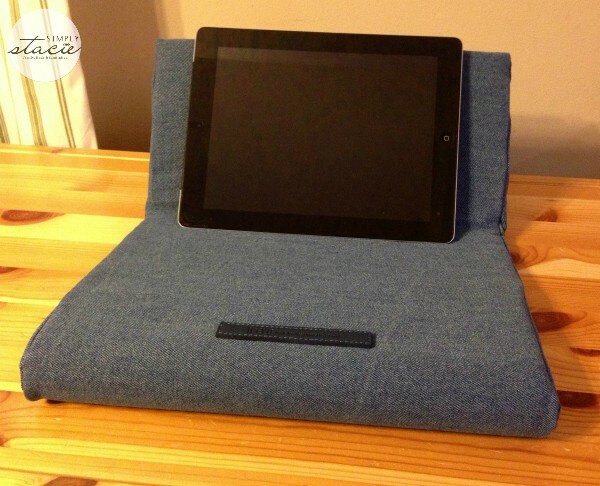 Perch sofa/side stand for iPad. I love the IPEVO Typi Folio Case + Wireless Keyboard ! I like the IPEVO Typi Folio Case + Wireless Keyboard for iPad 4, iPad 3 and iPad 2. I liked the IPEVO X1-N6 Internet Conference Station. My husband has Parkinson and starting having a problem with holding items to read. I purchased book stands etc. but nothing was working for him until I purchased the IPEVO pad pillow! It is great…and I am happy to see him reading again…..my brother wants one now!